Our Mid Century Modern Lifestyle Studio is home to Hummingbird Photography and The Kidographer. Our Lincoln Park, Chicago Photography Studio is also available to rent for film and photo productions, meetings, classes, parties, showers and events. Hummingbird Studios aims to be an extension of your apartment, whether it be for your next film or photo set or for an intimate yet spacious setting for your next gathering. A creative workplace, cultural venue and social hub, Hummingbird Studios offers competitive rates based on your individual requirements. 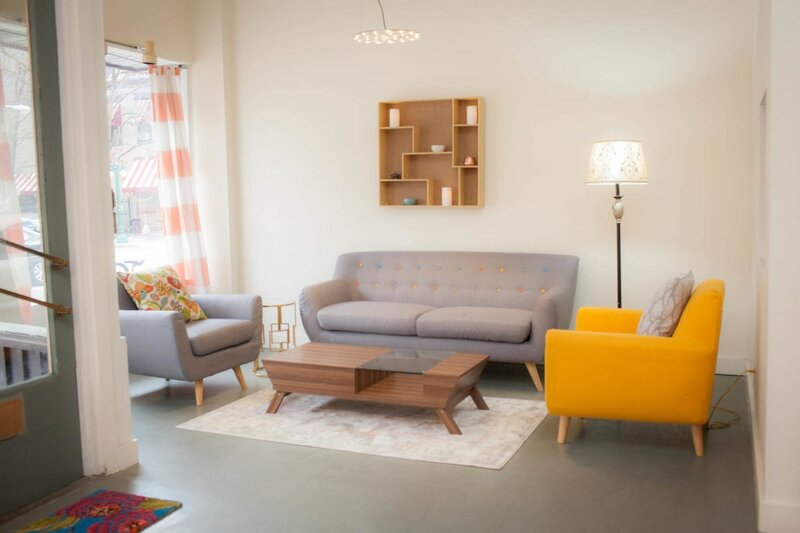 ​Our full service studio aims to provide a space that offers the comforts of home, without any of the hassle. Whether you need a space for a film or photo project, an offsite, retreat, class or workshop or you are looking for indoor photo shoot locations or a party or shower venue, Hummingbird Studios is here to work with you. Feel free to bring in your own food, hire the caterer of your choice, choose from our recommended list of catering companies or cook in our full kitchen. We do not charge a corkage fee which makes us the perfect venue for engagement parties, baby and bridal showers, kids parties and events. We are child friendly and have toys, high chairs and gates for the stairs!! We also offer a range of kids birthday party and shower packages. Typical Hire includes (but is not limited to): workshops, meetings, meet ups, classes, baby showers, bridal showers, pop-up shops, book clubs, photo shoots, film shoots, birthday party venue, baptism and christening party venue, small wedding venue, cooking classes and supper clubs and community dinners. "The hosts were incredibly accommodating and it quite a privilege to host an event in this space! Guests were in awe of the venue and continuously asked how I found such a place, which in return I shared the hosts' business cards. 10 out of 10 would do again, keeping this place in mind for future events!!" 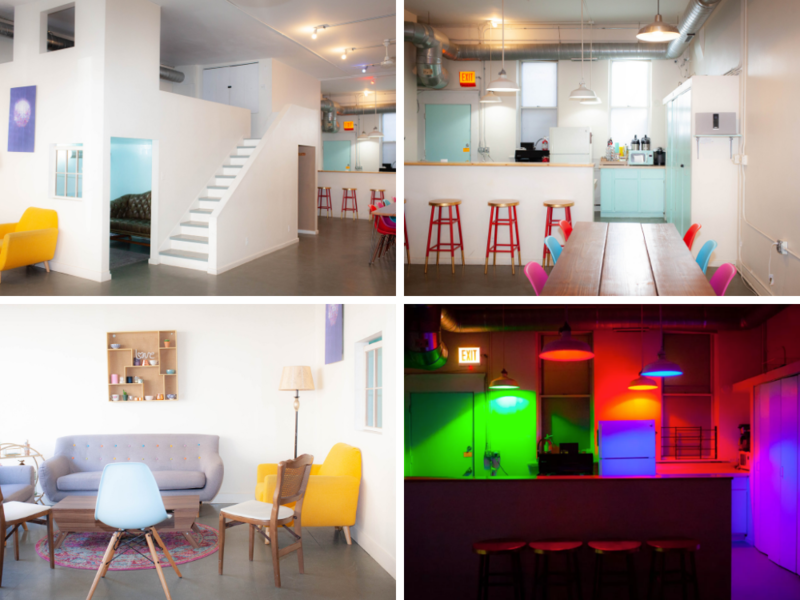 - Stacy W.
​Our unique studio space is made up of many areas, each with their own character and use. 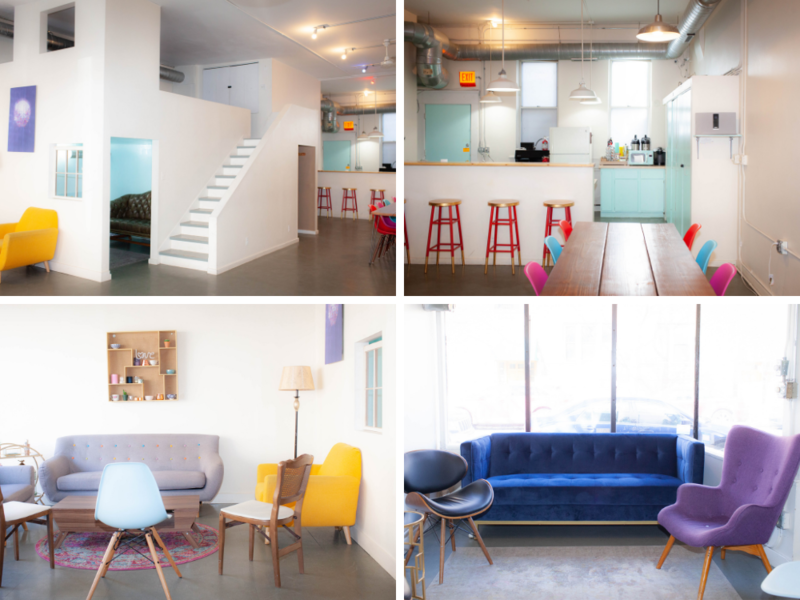 Our space is flexible and we encourage you to help us adapt it to suit your needs. We have spare chairs and tables with tea and coffee provided for meetings. We also have an in-house photographer. -Our central space can hold 30 people in a variety of table and seating set-ups. We can make one long table for a meeting, class or dinner, break it up into separate tables for smaller group workshops, or arrange seats in rows for talks and wedding ceremonies. (We have additional folding tables and chairs that are not pictured). -The front area is situated beside our two shopfront windows and looks out onto a tree-lined street. Bright and cosy, both areas provides a relaxed and comfortable environment. -Our alcove area is to the left of our central space. This can be used as a breakout area, an additional area for seating or used as a space for a buffet /cake table or a photo booth area. -Our cosy room at the bottom of the stairs that can be used as a private working area, another place for guests to sit or easily transformed into a cubby hole with toys for the kids. -Our lofted living room space has a desk and sofa at the top of the stairs. This can be used as another breakout space, a hair & make up or dressing room area or just another space to relax or work. This space is made available upon special request and not currently available for parties or events. -We provide a spacious open kitchen with cooking utensils, a double sink and a gas stove. We also provide a microwave, a toaster, cutlery, crockery, tea and coffee.